The Arab League has condemned deployment of Turkish troops in northern Iraq, saying it amounts to “an intervention.” Iraq has demanded that Ankara withdraws its troops, saying it will go to the UN Security Council if they remain. Secretary-General of the Arab league Nabil Elaraby has condemned the deployment of Turkish troops in Northern Iraq calling it a “blatant intervention,” Al Youm El Sabea reports. He said, however, that the Arab League members can do nothing but make a joint statement condemning the action. 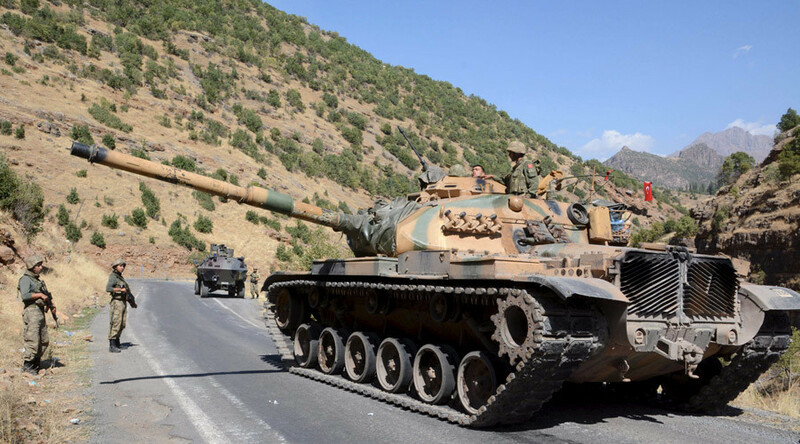 Earlier this week, Turkey deployed more than 100 troops equipped with tanks and artillery in the town of Bashiqa, 10 kilometers northeast of Mosul, which is a stronghold of the Islamic State terror group (IS, formerly ISIS/ISIL). The move is considered “a serious breach of sovereignty” by Iraqi authorities. Baghdad has been railing against the action and stepping up its rhetoric. “Iraq has the right to use all available options, including resorting to the UN Security Council if these forces are not withdrawn within 48 hours,” Iraqi Prime Minister Haider al-Abadi said in a statement on Sunday. The same demand was made by Khaled al-Obeidi, the Iraqi defense minister, who said that Turkey had to coordinate its actions with Iraq irrespective of its purposes. “No matter the size of the force entering Iraq, it is rejected. It was possible to undertake this sort of prior coordination without creating circumstances which contributed to a crisis between the two countries,” he said in a separate statement. Iran has also criticized Turkey for the “intervention.” Deputy Foreign Minister Amir Abdallahaan said that it was a serious mistake on the part of the Turkish government to deploy Turkish troops in Iraq without the permission of its government, ISNA reports. Responding to the criticism, Turkish Prime Minister Ahmet Davutoglu had first said that the military activity was just a routine troop rotation at a camp set up more than a year ago to train Kurdish militia. However, on Sunday Davutoglu was forced to back down somewhat, saying that Turkey would cease further troop transfers to Bashiqa out of respect for Iraq’s sovereignty. 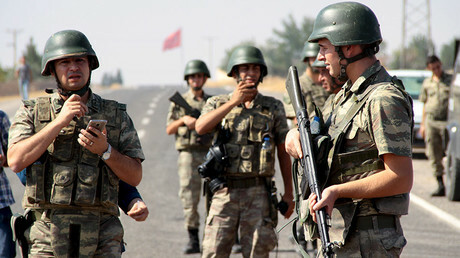 It remains unclear whether the remaining Turkish “training” troops will be called back.